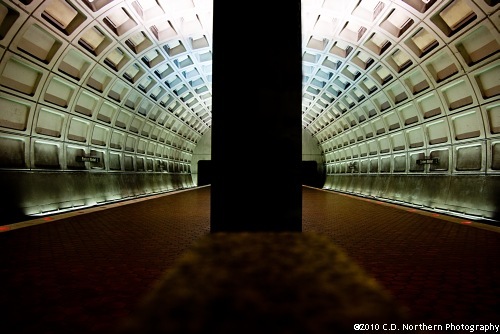 Surreal image of a subway station in Washington D.C. NOTE: This image has intentional processing resulting in oversaturation and some color banding. The effect is lovely, stated only to prevent dissatisfaction.